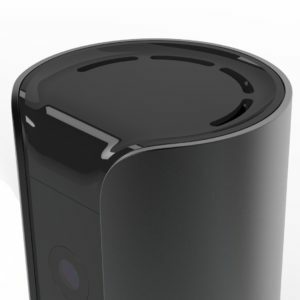 Home Invasion Prevention just became easier with the Canary All-in-One Home Security Device. 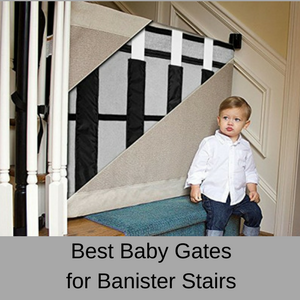 Straight away you can see that it comes in three different colors (white, silver or black), so it will easily fit in with your style and decor. Real time, motion activated video recording. 147 degree wide angle lens. Instant access to police, fire services or EMTs . Monitor air quality, temperature and humidity. Receive video alerts on your Android or iOS mobile devices. Plug and go easy set-up. Extensive security measures to protect your data. Size: 6 inches x 3 inches x 3 inches. With the Canary All-in-One Security Device you can hear everything that is happening in your home. You don’t have 2-way communication however, so you can’t have a conversation or speak to anyone in your home, but you can hear whatever is going on in your home. 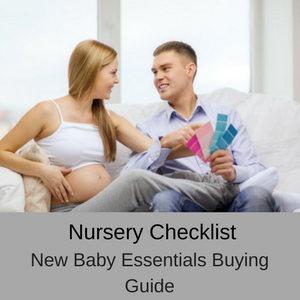 If you want to use the Canary as a nanny cam then you might prefer to be able to talk to your children and if so, check out my recommended nanny cam – the Amcrest ProHD 1080P. 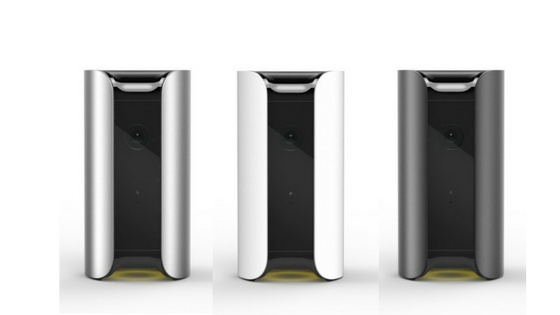 When everyone leaves the house in the morning, the Canary automatically arms itself, ready to protect your home. You don’t even need to remember to set the alarm, as this is all performed automatically for you. 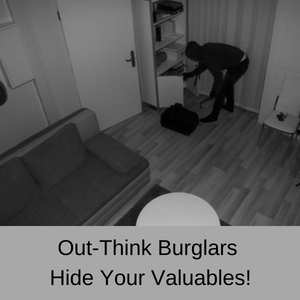 If someone breaks into your home when no-one is home, you will receive an instant notification on your mobile device. 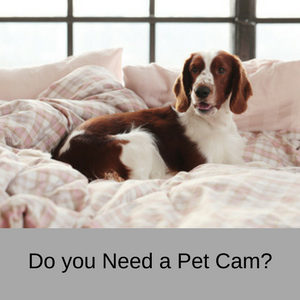 With a 90+ db siren that is controlled via your smartphone, as soon as you receive an intruder notification, you can view the live video footage and turn the siren on! If that doesn’t get them out of your house, nothing will – but you can also call the police at the same time. Even though the Canary has an automatic alarm system, you can still have this home security device operating when people are at home. So you can use the Canary Security Device as a nanny cam and keep an eye on your kids, elderly relative or pets when you are not at home. Then when you all leave the house, it will automatically arm itself to protect your home, sending you alert notifications if anyone breaks in. 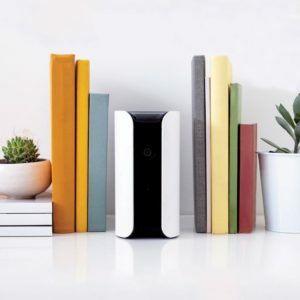 Many security systems can be very expensive and difficult to set up, which is why the Canary Home Security Devise is such a breath of fresh air. 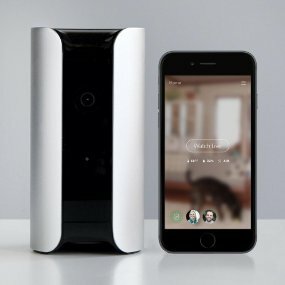 With the Canary you not only have a nanny cam, so you can keep an eye on your children when they are at home, but you also have a SECURITY system so you know if anyone breaks into your home. You control the Canary from your smartphone or tablet and it is designed to take with you when you move. So there are no wires that need to be run all over the house and no electricians fees. If you move, you simply pick it up and take it with you and if you rent, then the Canary is ideal for you as well. It doesn’t get easier than downloading a free app to your smartphone, (iPhone or Android, but not a Windows phone), plugging the Canary into the power, connecting it to the internet and you are good to go. There are no monthly fees (unless you want to upgrade – see below), no contracts and it works right out of the box. You can add multiple Canary Home Security Devices to your home and operate them all from the one app on your smartphone. Every Canary All-in-One Home Security Device comes with a free STARTER PLAN which provides access to Timeline events from the last 12 hours, up to five video BOOKMARKS and up to three DOWNLOADS on the Canary Cloud. If you think you’ll need more storage, you can upgrade to an extended plan to increase your video history, bookmarks and downloads. Plans start at $4.99 for an extra 2 days of video history, 25 video bookmarks and unlimited video downloads, right up to 30 days of video history and unlimited downloads and video bookmarks for $29.99 per month. 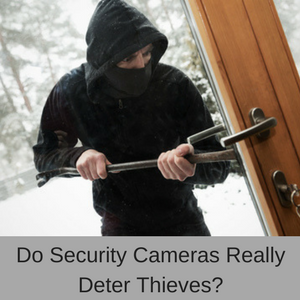 Most of us worry about our video feeds being hacked inside our homes, so we always need to be sure that they home security system we use is fully protected. Canary has taken this on board and has made protecting your data their top priority with AES 256-bit symmetric-key encryption, Virtual Private Cloud (VPC), secure HTTP access (HTTPS) using TLS/SSL, and more. One Canary Home Security Device. 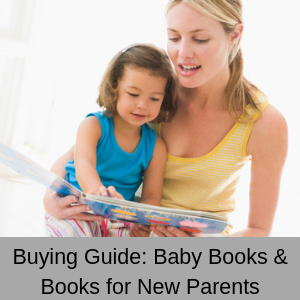 You can check out the User Manual here to see how easy it is to set-up, before you buy: User guide (PDF). 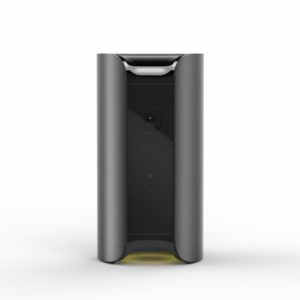 There are a few points to note with the Canary Home Security Device. First of all, there is no pan & tilt or 2 way communication (neither of which seem to be a problem with customers), but it does have a 147 degree wide angle lens and high quality audio. Second, it does not have an automatic siren. This means that if an intruder breaks into your home, you will receive a push notification, but the siren won’t sound automatically. Instead, you have to manually switch on the siren. This is one of the big complaints about the Canary and is one of the features that Canary is attempting to solve. This is related to the third problem, which is that the Canary is a tad sensitive and has a high rate of false positives. The manufacturers state that no-one wants the siren going off if you receive false alerts, which is fair enough, but if it wasn’t so sensitive then this wouldn’t be an issue. Apparently, the Canary can learn which type of events are normal and don’t require an alert notification, but that takes time and shouldn’t really be necessary anyway. Fourth is actually a good point, in that you can hook the Canary up to the Wink Home Automation Network (which connects all of your home security devices) and use Wink to connect to Amazon Echo for example. 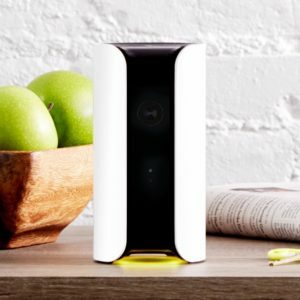 Canary is also compatible with Nest, Scout, Philips Hue and other home security systems. Lastly, the Canary doesn’t have local storage (only cloud storage) or an internal battery, so if it is unplugged then it stops working. Canary tells us that it does send an alert notification to your smartphone if the device is unplugged or looses power, along with a video of what transpired before this happened. In theory, this should work well, but many customers find that they don’t receive an alert when the unit has been unplugged. What do real customers think about the Canary? Online reviews for the Canary Home Security Device are really mixed. It seems that you either love it or hate it. The main problems are as I have mentioned above, but the big one for me is that if the power goes out or an intruder unplugs the device – I really want to be notified so I can call the police at least. Some customers have complained that they don’t hear the notification when they are asleep at night, but this is simply an issue with all home based security systems. 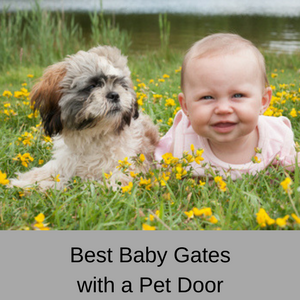 To resolve this issue you would have to pay a fortune for a ‘back-to-base’ security system where security guards actually phone you or come to your property when there is an alert. With more than 1600 online reviews on Amazon, 60% of customers who have left a review have no problems with the Canary. 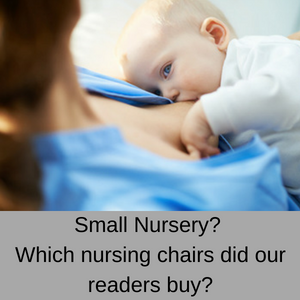 Others believe that the home temperature and environmental monitoring is not needed, that the Canary is too sensitive and the red power light can be annoying. Positive comments include how easy the Canary is to set up, the high quality video and audio and that if they decide to pay for more storage, that the monthly fees are much cheaper than many other similar services. This product is hands down awesome, and the service that follows is even better! I enjoy the product. Works well. Very few issues as some others. Terrific picture. Works great as long as you have power to the unit and your router- a power outage takes the product off line. I’ve had mine for a little over 3 weeks and so far I’m impressed with it. I’ve gotten alerts when my air quality is abnormal as well as alerts when there is activity in my home. I really like that I can trigger a 90db alarm. When in the same room, it hurts, you feel the pulsing in your ears. I wish it had an auto-trigger for the alarm based on a certain amount of movement, but I can understand why that feature isn’t there yet (false alarms, angry neighbors, you get the idea). I love my canary! …….I’m a police officer in Florida and this device or something similar inside a home is the number one most important thing to catch a burglar. I have told countless individuals and victims about this product and seen it used many times. The ‘learning’ feature is great and it automatically turns on and off as you enter or leave the network. Plus the motion alerts are great! This is an awesome devise. For many customers, the Canary All-in-One Home Security Device doesn’t live up to the hype. So if you want a nanny cam to keep an eye on your children, pets or relatives at home, the ability to manually sound a siren to scare off burglars and a monitor that automatically turns on when you leave the house, then the Canary might be for you. On the other hand, if you want 2-way communication (the Canary only has audio), or an automatic siren when motion is detected, then the Canary might fall short of your expectations.